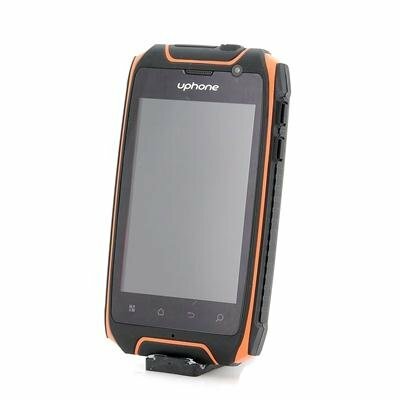 Successfully Added Uphone U5+ IP67 Smartphone - 3.5 Inch Display,1.3GHz Dual Core CPU, Dual SIM, Waterproof, Dust Proof, Shockproof (Orange) to your Shopping Cart. 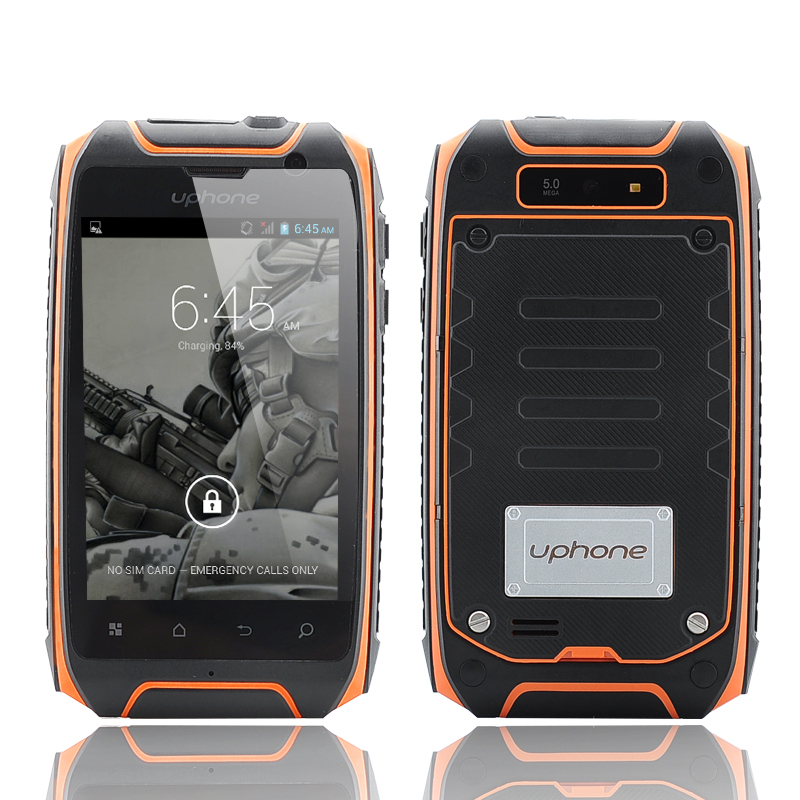 The U5+ from Uphone is the latest IP67 Android phone offering to the gods of toughness. This IP67 Smartphone has a 3.5 Inch Screen, 1.3GHz Dual Core CPU and an of course IP67 Waterproof and Dustproof rating so it’s ready for action! Are you? 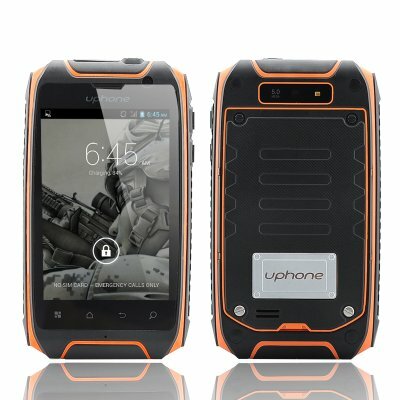 The U5+ from rugged smartphones specialists Uphone excels where other phones flounder because unlike the rest of the pack its protected by an IP67 rating that provides protection from water and dust as well as offering a tough shell to counter any drops or knocks it may encounter along the way. Regardless of what you’re doing, skiing, base jumping, mountain biking or building a skyscraper, this phone is up to the task. With a Dual Core CPU and making the most of Android's 4.2 operating platform, the U5+ offers great usability, performance and can be customized for your requirements. Having a built in GPS system will provide you with safe navigation to any chosen destination and being as this phone has dual SIM support, contacts from two numbers can be combined to simplify your life. Make keeping in touch easier than before. Popular with outdoor enthusiasts, fly fishermen, landscape gardeners and construction workers, this mobile phone is bound to be a winner. With the wholesale buying power Chinavasion has secured this phone at exceptionally low prices.